For a limited time Constant Home Comfort offers homeowners a wide variety of grants and rebates offered by the Government and utility companies in Ontario. Depending on where you reside, you may or may not qualify for certain rebate opportunities. Call us to find out more: 1-888-675.5907! 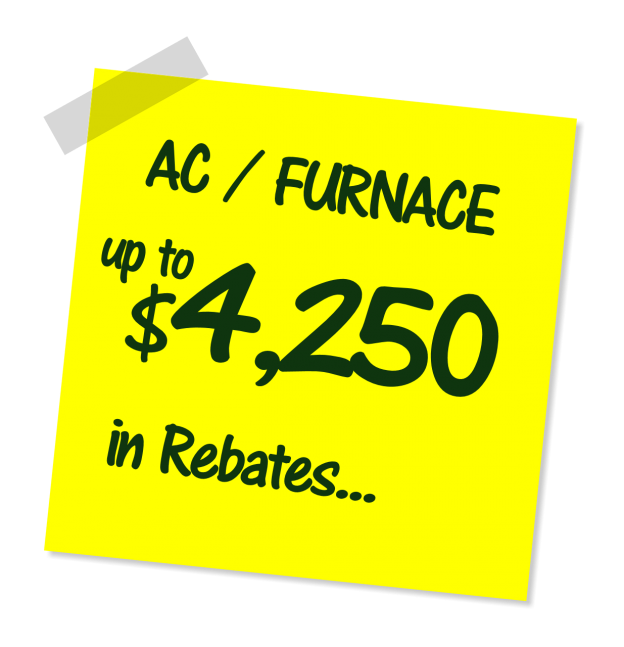 Find out which rebates you qualify for. Constant Home Comfort is a participating contractor through the Heating & Cooling Incentive Program(OPA). This incentive is for residents in Ontario who have bought and installed permitted central heating or cooling equipment. Constant Home Comfort is dedicated to ensuring that your home is energy efficient. We want you to take advantage of every money saving opportunity. Satisfaction is always guaranteed.